Last meal in Boston. 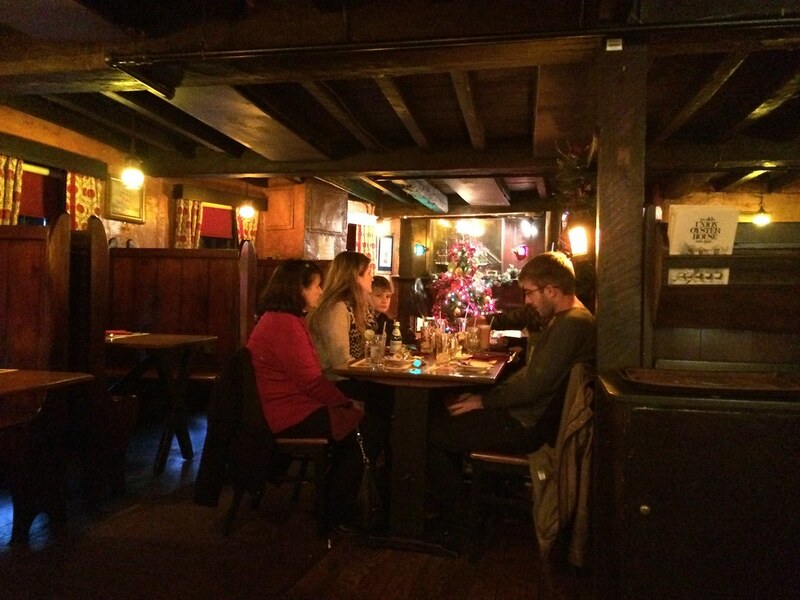 Where better to dine at the oldest restaurant in America? 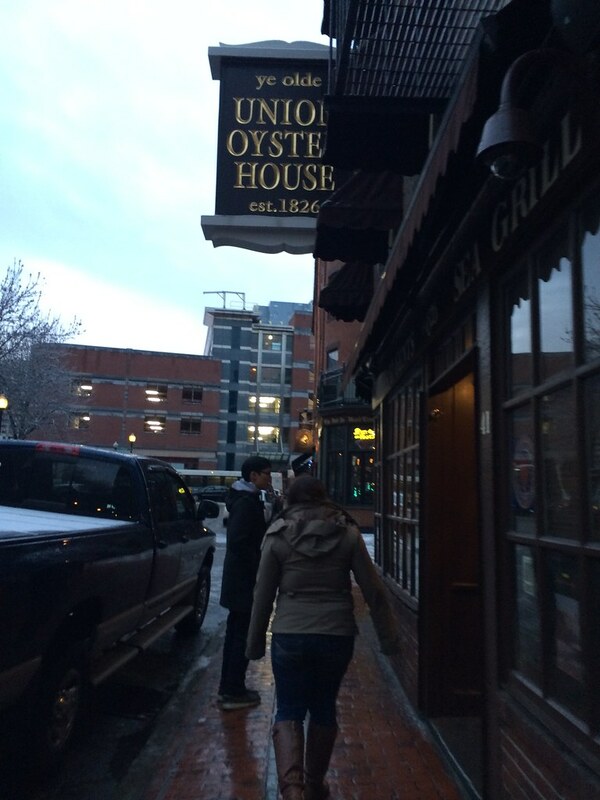 Union Oyster House is a historical landmark and pretty iconic Boston. It's located in a really cool old building, and it's clearly a hotspot for tourists. 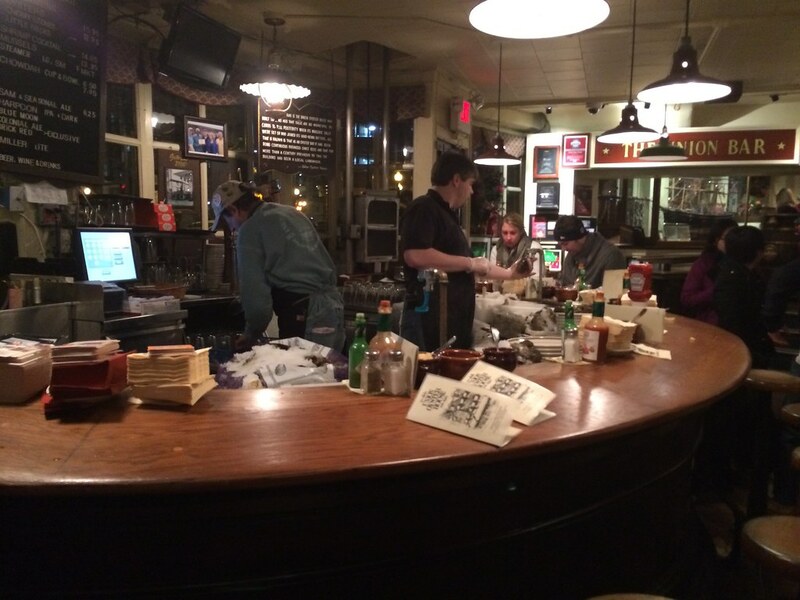 Because we requested dinner, we were whisked upstairs, past an oyster bar, to a more dimly lit dining area. 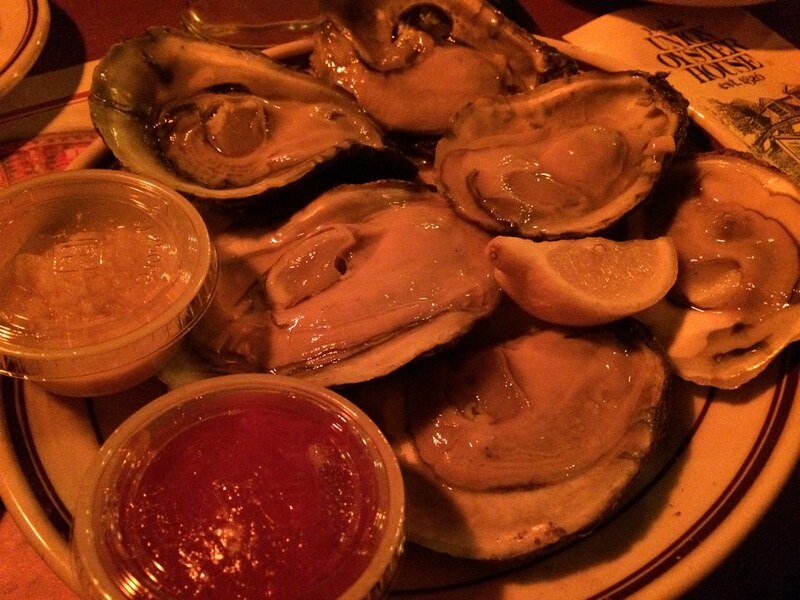 It wasn't a difficult decision for me to know I wanted oysters. 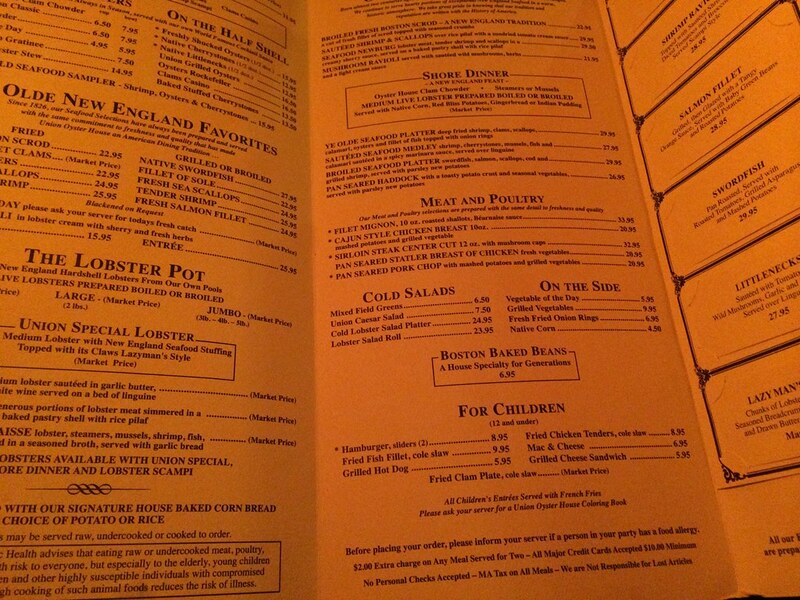 The menu, though, limits your options for an entree of fresh oysters. You can get them fried - but I can get them fried anywhere. 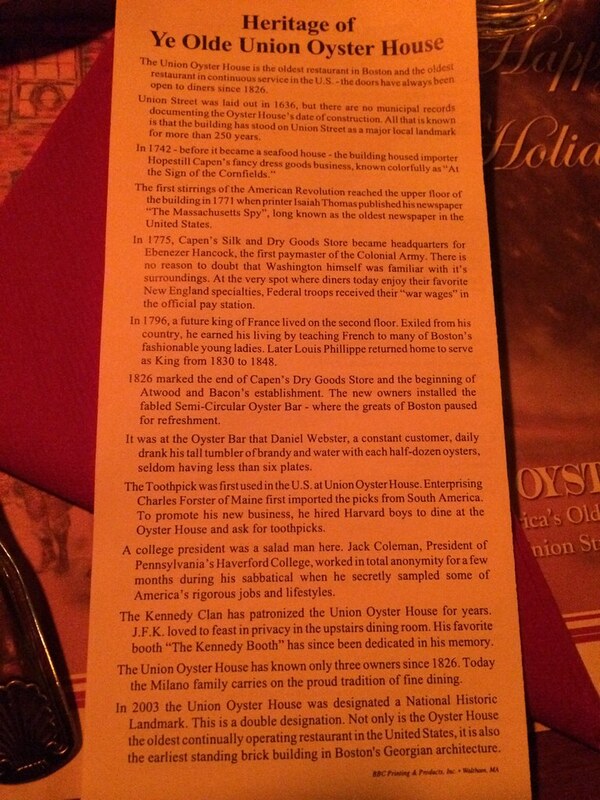 So I ordered an entree of freshly shucked oysters (half dozen) for $16. 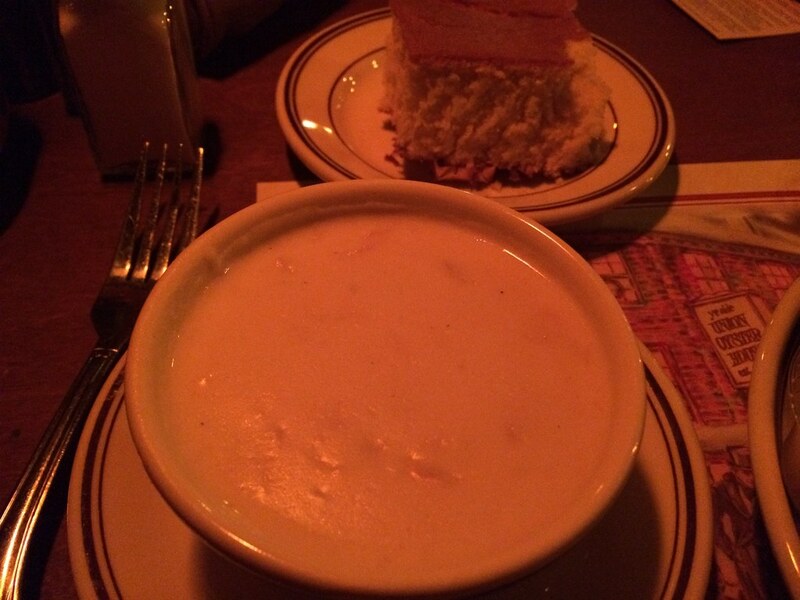 I also got a bowl of clam chowder, because I didn't figure six oysters would fill me up. 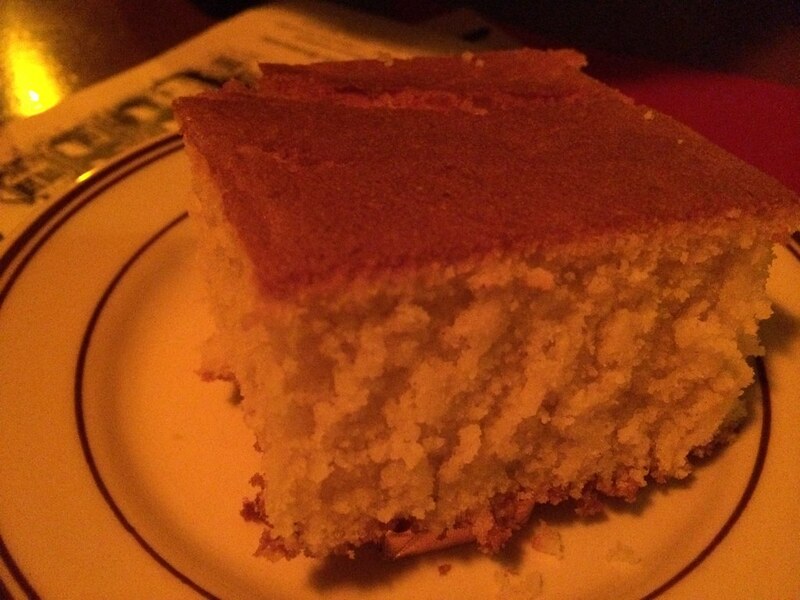 We got some cornbread first off - as I mentioned previously, typical for Boston - and it was good. Probably one of the better times to have cornbread so that I could eat it with my chowder. A little dry, but you know. 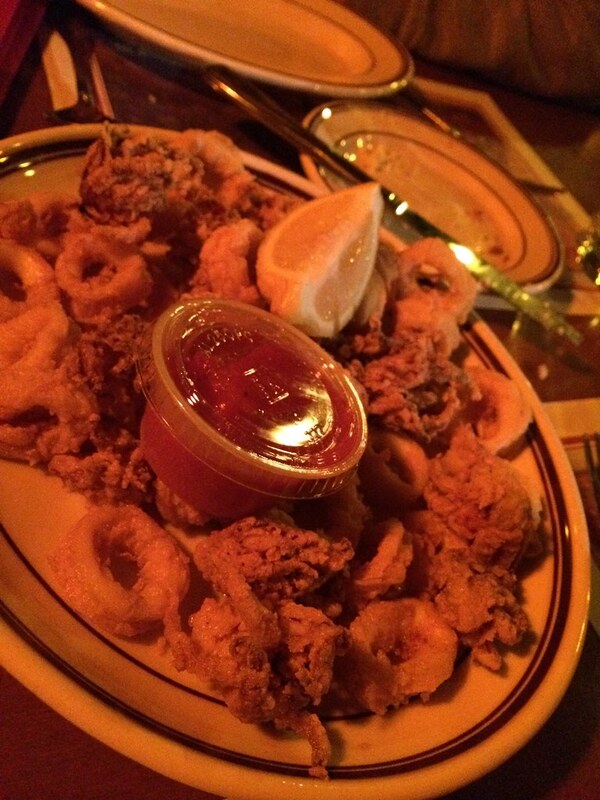 Kaitlynn got calamari as an appetizer. Which was weird. There were like whole little squids that you can just pop. Not just the, like, rings that you usually get. Whole little things. It was good, though. I actually liked those ones better. But too much breading did my stomach in. Just too greasy and fried. My clam chowder was pretty good. 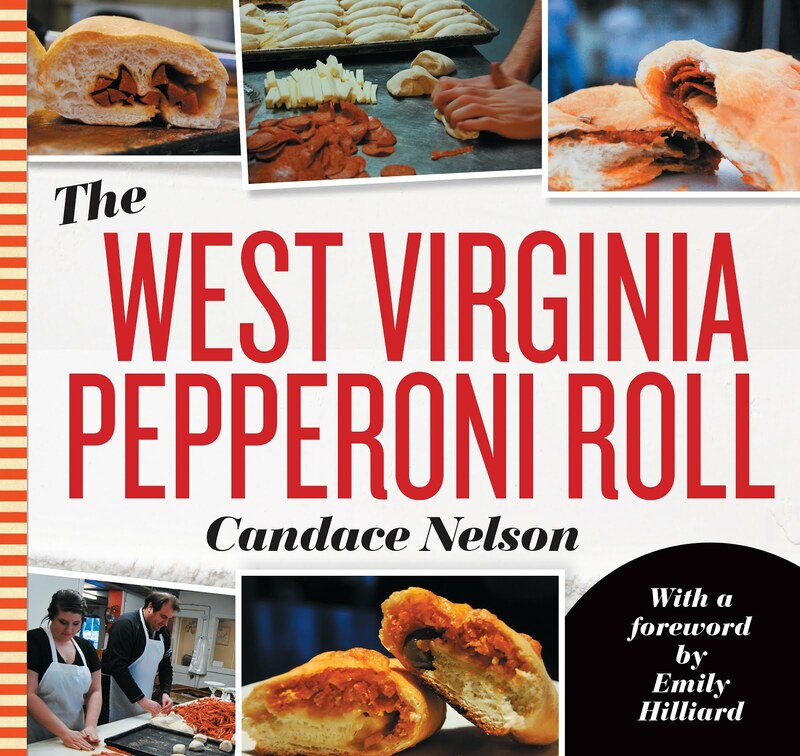 It is way different than most other places I've had back home because it just tastes fresh. Not from a can or shipped across multiple states inland. Itwas actually good. The taste isn't as pungent as what I remember. So that's good. Oysters! Yum! It's a rarity to get fresh oysters anywhere really in West Virginia, so it was a treat. They were huge and came with a horseradish and spicy kind of cocktail sauce. They were good. Fresh. I know some folks aren't crazy about the slimy texture, but these were cold, not gritty or chewy, but just all around good. And the sauce was tasty too. And yeah, kind of pricey. But I can't really get anything like it anywhere else.